The SMART (IQ, Street, CommonSense-wise) Democrats are voting Republican, or staying home on November 6th. There will be more SMART Democrats this election than there were in 2012 thru 2016. Long ago I made a decision to move with my family to one of the few states that still has fewer people, but has lots of hunting, fishing, lots of water sources, and all our rights are revered and protected, including open carry. The house I bought increased in price over $60k only 1 year after I bought it. My family and I have been making improvements to the house that is increasing it's value, but I will probably never sell. We have plenty of space, and still have a room empty, lots of provisions, good neighbors, and my neighborhood is considered safer than over 75% of the rest of the nation. If you can, you should be leaving Cali for good. I lived in Cali for a week, and stayed in the house of the sister of my best friend. Never again will I go to Cali. Yeah i know a week is not a lot, but didn't like it one bit. Here is what the left will continue doing. Even if Republicans take the House and the Senate, liberal states like Cali will do everything they can to allow the hordes of illegals into Cali, which will make it a worse pile of dung than it already is. Cali and other "liberal states" will not abide by our laws, but will break as many as they can. Democrats/Liberals don't care if they burn their own states, and even the U.S. to the ground as long as they have some power/control. I see no other way to deal with this but to secede/break up at least portions of states which are Liberal/Democrat. Because their plan is to keep on receiving illegals, find ways to make them legal and drown the votes of the "Americans/legal residents who lean to the right in politics." If we do not break away from those states, or portions of them, the left will eventually have their way. It might not happen in a year, or two, but they will eventually get their way unless we break away from them. edit on 23-10-2018 by ElectricUniverse because: add and correct comment. Maybe Nevada is now made up of people who used to live in California and New York? I live in NY state. Just look at the map of NY, it is completely unfair that the city gets to decide for us. How the city votes is how the state votes. Not to mention a big chunk of our tax goes to them. Several states, including NY need to be broken up into separate states, maybe along political lines. No one in upstate thinks it is fair that the city speaks for everyone. Cuomo is a travesty for everyone except the city. He does not care about real, rural New Yorkers. Sorry, you posted in the wrong thread, RNAA. This thread is about early voting statistics. There's another one discussing absentee ballot requests. The thread title is "EARLY VOTING tallies are coming in - here are the state by state results"
There ARE NO voting tallies yet and there ARE NO results to report. There will be no tallies to report until after the polls close on November 6. God help us this president needs to be checked or we will be one step closer to a totalitarian regime. I hope and pray some republicans vote democrat. The GOP needs some serious correction. In my opinion they are destroying the economy but if you don't agree fine there is still no success when this adminstrations accomplishes anything as it is done with a bullying unhumble anti christ spirit. Are there any Christians left in this country? Come on! Wow..you need to start a thread...and get a discussion going! The word "tallies" can apply to many aspects of election-related components. Percentages of Dem votes vs Republican votes vs Independent votes...is a TALLY. 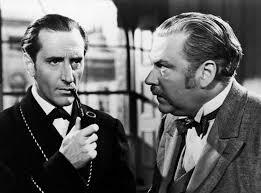 "By God Watson, you've got it all backwards !!"